Why Palestine Won Big at the U.N.
An instructive week after Palestinian militants in the Gaza Strip tested Israel on the battlefield, the pacifist politicians who govern the West Bank notched a significant diplomatic win without much of a fight at all. Just before 5 p.m. New York time, the U.N. General Assembly voted 138 to 9 to bring Palestine aboard as a “nonmember state.” Another 41 nations abstained. Assured of passage by a whopping majority, Israel and the U.S. noted their objections mildly and mostly for the record, their effort to limit the fallout for the Jewish state itself limited in the wake of Gaza. The status of “nonmember state” — emphasis on the “state” puts Palestine on the same level of diplomatic recognition as the Vatican, which is technically a sovereign entity. The Holy See has its own ambassadors but, for a few, may be better known for its busy post office off St. Peter’s Square, where tourists queue for what quiet thrills are afforded by a Vatican stamp canceled with the Pope’s postmark. Palestine already has post offices. The particular marker of sovereignty it sought from the U.N. is even more bureaucratic: access to international organizations, especially the International Criminal Court at the Hague. Experts on international law say that, armed with the mass diplomatic recognition of the 150 or so nations it counts as supporters, Palestine will be in a position to bring cases against Israel, which has occupied the land defined as Palestine — the West Bank and the Gaza Strip — since 1967. The ICC, as it’s known, is on record as inclined to regard Israel’s more than 100 residential settlements on the West Bank as a crime of war. (The Jewish state pulled its settlers and soldiers out of Gaza in 2005 and argues that it no longer qualifies as its “occupier” under international law. Critics argue otherwise.) The physical presence of the settlements in other words would give Palestine a ready-made case to drag Israel before the court — or to threaten dragging it before the court. In the dynamics of the Israel-Palestine conflict, the real power lies in the threat. But in his last U.N. address, in September, Palestinian National Authority President Mahmoud Abbas began to lay the foundation for charges based not on the settlements but on the violent behavior of some individual settlers, who attack Palestinian neighbors and vandalize property and mosques. Settler attacks have skyrocketed in the past two years, according to U.N. monitors, and now account for the majority of the political violence on the West Bank, despite the lingering popular impression of Palestinian terrorism dating back decades. On the West Bank, at least, the reality has changed. Abbas’ effort actually got an unlikely boost from Israel’s eight-day offensive in Gaza. Operation Pillar of Defense focused on attacking Hamas, the militant Islamist group that has governed Gaza since 2007. Hamas, and more radical groups also operating in Gaza, lost scores of fighters and rocket launchers to Israeli air strikes. But by standing up to overwhelming Israeli military power for more than a week — and sending missiles toward major cities previously left untouched — the militants stirred a defiant pride and solidarity across the Palestinian community. That logic was pointed out to Israeli Prime Minister Benjamin Netanyahu by Secretary of State Hillary Clinton when she visited Jerusalem to coax him toward a cease-fire. In the days that followed, Netanyahu’s government stopped threatening to punish Abbas for going to the U.N., a move Israel has called a threat to the peace process, which has been stalled for at least four years. At the same time, European nations rallied around Abbas, intent on shoring up a leader who is secular, moderate — and already at political risk for cooperating with Israel to suppress armed resistance even before Gaza seized the world’s attention. Many of the “marquee” countries of Western Europe that Netanyahu had hoped to vote against Palestine statehood, like France, instead lined up behind Abbas. Others, including Britain, abstained, after seeking assurances that Palestine will not to go the ICC, or that negotiations with Israel will resume. Abbas has already promised the latter. Thursday morning brought news that Israel had lost Germany, a stalwart ally in the wake of the Holocaust, to the abstention column. 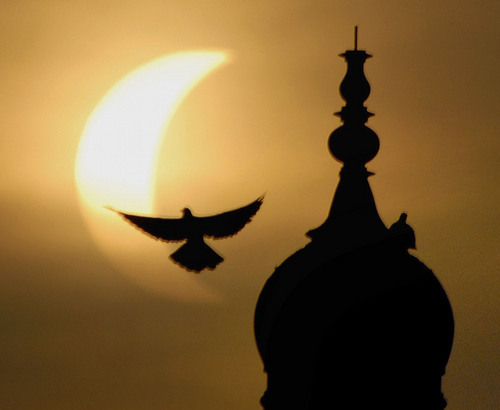 “If there is a poor turnout, a poor vote, the radicals gain,” India’s U.N. Ambassador Hardeep Singh Puri told reporters. For their part, Palestinians overwhelmingly back the measure, despite an assortment of disappointments with Abbas — for wasting a year trying to get full U.N. membership in 2011 and for not visiting Gaza during the fighting, as foreign diplomats did. “We are for the U.N. bid because we anticipate this will help us legally to pursue our struggles and gain our rights,” said Ladadwah, the bank employee who spoke admiringly of Hamas’ stand in Gaza. Hamas itself said it backs the diplomatic effort, as do other factions. In downtown Ramallah, the crowd watching on an outdoor TV screen on Thursday night was large and festive despite the late November chill. Celebratory gunfire — fired by exultant uniformed police and soldiers — rent the night as the vote came in just before midnight local time. “I expect many things from this but the most important is the reconciliation of the two factions, Hamas and Fatah,” said Mohammad Abdel Moute, 40, a government employee who lives in a local refugee camp. “And now hopefully we’ll be able to address the world with our problems, and hopefully the world will be able to help us in obtaining our rights, to be able to live like normal human beings.” Nearby, Layla Jammal, 70, praised the strategy of putting the question of statehood to the General Assembly instead of to the U.N. Security Council, where the U.S. routinely vetoes measures opposed by Israel. Israel’s four-day-old air offensive in the Gaza Strip expanded to target Hamas government buildings on Saturday and Palestinian militants continued firing a torrent of rockets at civilian areas in southern Israel as both sides stepped up diplomatic efforts to win support. Israeli airstrikes over Gaza accelerated to nearly 200 early in the day, including one hit that reduced the offices of Hamas Prime Minister Ismail Haniyeh to a smoldering concrete heap. That strike, along with others on a police headquarters and smuggling tunnels along the strip’s southern border with Egypt, raised questions about whether Israel had broadened its mission to including toppling the Hamas government that rules the coastal strip. Just before sundown, Hamas said it had fired an Iranian-made Fajr-5 rocket at Tel Aviv, and air raid sirens sounded in that city for the third day in a row. The Israeli military said its newly deployed missile defense battery intercepted the rocket before it landed in the populous coastal city. Even as airstrikes pounded the area Saturday morning, the foreign minister of Tunisia’s Islamist-led government, Rafik Abdessalem, arrived in Gaza with a delegation, underscoring Hamas’s newfound credibility in a region dramatically altered by the Arab Spring. Abdessalem expressed outrage at what he called Israeli “aggression” and pledged to unite with other Arab countries to end the conflict. In Cairo, Egyptian President Mohamed Morsi, whose prime minister visited Gaza on Friday, held meetings with Turkey’s prime minister, Recep Tayyip Erdogan, and the emir of Qatar, Sheik Hamad Bin Khalifa al-Thani — both Hamas supporters — to discuss what Morsi and other regional leaders have promised will be a more robust response to Israel’s actions than during past conflicts. By Saturday night, rumors of Morsi, Erdogan and Hamas chairman Khaled Meshal hashing out a cease-fire plan were swirling but unconfirmed. Also in Cairo, the Arab League held an emergency meeting of foreign ministers to discuss a response to the conflict. Many participants called for Arab assistance to the Palestinians and a “reconsideration” of Egypt’s peace treaty with Israel. But it was unclear if the usually ineffectual league would deliver decisive action by the end of its summit. The White House reiterated its support for the Israeli operation, which the military says is intended to stop rocket fire that has escalated in the four years since Israel last invaded Gaza to stunt attacks by Hamas, an Islamist movement that Israel and the United States consider a terrorist group. 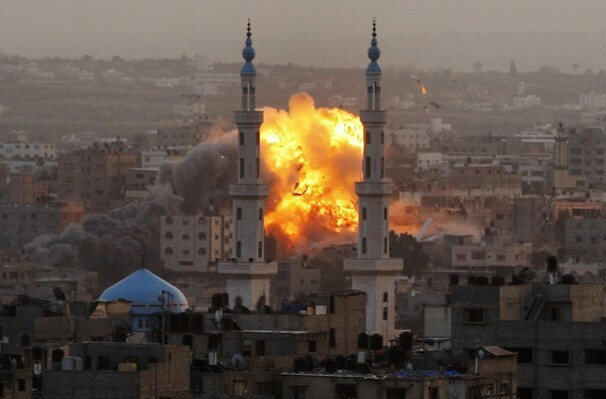 The death toll in Gaza rose to 45 by Saturday evening, Health Ministry officials said. Three Israelis have been killed by rocket fire from Gaza since the operation began. An Israeli military spokesman said about 130 rockets were fired from Gaza at Israel on Saturday, 30 of which were intercepted by a missile defense system known as Iron Dome. Israel made preparations this week for a possible ground invasion, but there were no further signs of one coming on Saturday. The Israeli airstrikes, which continued to target rocket-launching sites and weapons depots, slowed throughout the day, even as Israel appeared to be channeling new efforts toward Hamas civilian institutions. Capt. Eytan Buchman, an Israeli military spokesman, said the strikes were “part of our overarching goal of toppling Hamas’s command and control capabilities” and did not mark a shift in mission. Haniyeh, the Hamas prime minister, was apparently not at his office when it was hit. That is how it felt to Hossam and Sanaa al-Dadah, two teachers who had the misfortune of living next door to a house the Israeli military said belonged to a Hamas commander. At 6 a.m., the family’s windows shattered and their walls burst open. The adjacent house, in the Jabaliya refugee camp, had been demolished in an airstrike, and suddenly theirs was ruined, too. In the terrifying moments that followed, Hossam al-Dadah, 50, frantically dug his five children out of the rubble, and a few hours later, they had been taken away to their grandparents’ home. But a dust-caked Sanaa, 40, rushed from room to room, crying and gathering her children’s clothing, school bags and dolls and placing them on a sheet. Israel says Hamas operates in populated areas to use civilians as human shields, and it has dropped thousands of leaflets over Gaza warning civilians to stay away from Hamas operatives. Sanaa said she never got the message. Outside the house, children played insouciantly in rubble and scorched cars. Rami Mukayed, a 12-year-old in gray trousers, said he reserved his fear for darkness. In a speech in Cairo, Erdogan said the Gaza conflict called for a new era of Egyptian-Turkish cooperation. Speakers at the Arab League meeting made the same argument. “We can no longer accept empty meetings and meaningless resolutions,” said Arab League chief Nabil Elaraby, addressing the assembly at the start of the meeting. He urged Arab states to adopt a “strict stance” on the conflict. Issandr El Amrani, a visiting fellow at the European Council on Foreign Relations who heads a blog called the Arabist, said the Gaza standoff has presented the new Arab Spring governments and other regional heavyweights an opportunity to reconsider their position on Israel and the peace process in a series of talks that could have long-term regional implications. For years, the Arab League has floated a proposal for an Israeli-Palestinian peace deal that Israel never took seriously, Amrani said. Arab states might now choose to drop that proposal and adopt more aggressive approaches — Egypt could revise the terms of its peace treaty with Israel; Arab states might consider providing covert aid to Hamas; and others will amplify the pressure on Israel through diplomatic corridors, he said. By Saturday night, despite mounting rhetorical and symbolic support to Gaza’s Hamas leadership, the Arab ministers’ meeting had announced plans to send a delegation to Gaza but had stopped short of pledging immediate material support to Hamas. Skeptics have had a field day criticizing the direct negotiations between Israelis and Palestinians to be launched this week in Washington. To be sure, the obstacles to concluding an agreement are significant, the stakes are high and expectations are low. But it is time to give the Obama Administration some credit. The White House is launching direct talks on Thursday with tools that previous administrations did not have or were unwilling to employ in past negotiation efforts. Despite the rampant skepticism, there are indeed reasons to be hopeful without being naïve. The Obama Administration has come a long way to get to this point. The year-long tussle with Israel over West Bank settlement construction, a botched photo-op between the Israeli and Palestinian leadership in New York one year ago, and painstaking attempts to bring the parties to direct talks in recent months have eroded the optimism and expectations that came with the election of President Obama. First, violence is down because security cooperation between Israel and the Palestinians is at an all-time high. Palestinian security forces trained with the direct support and supervision of the United States, Israel and Jordan have significantly secured the West Bank and created an atmosphere conducive to economic growth. The success of the burgeoning Palestinian security force is providing Israelis with much needed confidence. 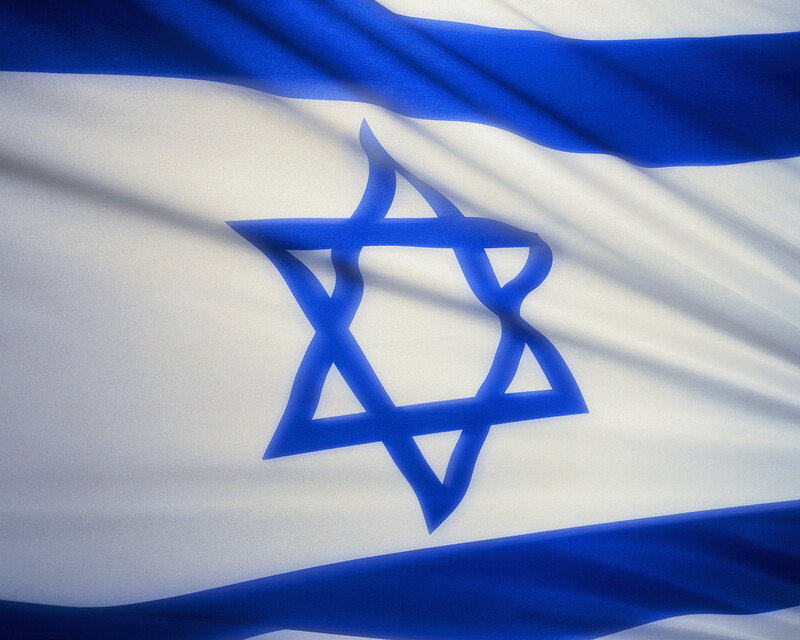 Security is – and always has been – Israel’s number one concern. With such cooperation already in place, these talks will have a distinct advantage over all other previous efforts. Second, the Arab states have endorsed President Mahmoud Abbas’ negotiating with Israel and pledged to be part of the effort. The inclusion of Egypt and Jordan in the launch next week is vital. As co-chairs of the Arab League’s Arab Peace Initiative follow-up committee, Egypt and Jordan bring with them the promise of normal relations for Israel with 22 Arab states following a successfully negotiated agreement on the final status issues. Regardless of whether Yasser Arafat truly intended to achieve peace with Israel, he never enjoyed the mobilized support of the Arab states, let alone the United States and Israel. Mahmoud Abbas does. The Arab states are providing Abbas with the kind of backing and legitimacy to negotiate with Israel on all of the sensitive final status issues that he will need in order to conclude a historic agreement. This is particularly significant given the political split of the Palestinians between the West Bank and Gaza. Third, the Palestinians are invested in building the foundation for a Palestinian state. The Palestinians have been plagued in previous negotiation efforts by poor governance and widespread corruption. While concerning issues remain, the progress of Prime Minister Salaam Fayyad to establish the infrastructure for a future state – like the aforementioned security advancements – distinguishes these negotiations from previous ones. The success of the state-building effort to this point and the growth of the West Bank economy lends credibility to the moderate leadership of Abbas and Fayyad and their ability to govern a viable, contiguous state, should the political process enable one to be established. Their efforts should also give Israelis added confidence that they would be establishing a conflict-ending agreement with a responsible neighbor. Fourth, the Netanyahu government has been calling for negotiations for months, repeatedly stating that an agreement could be reached quickly if negotiated in good faith. The Administration now has a chance to test them on their word. 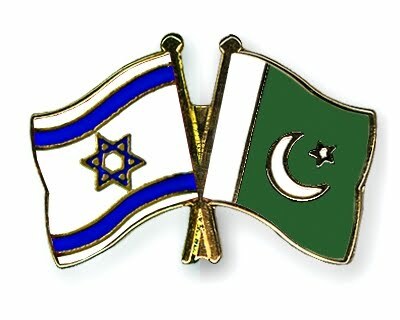 The make-up of the Israeli government presents both a challenge and an advantage to the renewed talks. The fact that this is a largely right-wing government intended to provide Israel with essential guarantees on security could bolster confidence among the Israeli public for an agreement, should one be achieved. This would remain true even if the government were at some point to replace Avigdor Lieberman’s Yisrael Beiteinu party with Tzipi Livni’s Kadima party. Just as the Likud Prime Minister Menachem Begin secured a peace agreement with Egypt, so too might the current Likud Prime Minister secure the elusive peace agreement with the Palestinians. Finally, the White House has pledged to be actively engaged and bridge the gaps when necessary. The failed Annapolis process proved that Israelis and Palestinians need the United States to be at the negotiating table in order to help the parties bridge the gaps. Active engagement by the United States does not just require bridging proposals, but also reminding the parties of the interests at stake. To Israelis, concluding an agreement with the Palestinians would certainly help amplify efforts to mobilize the international community to counter the threat from Iran. 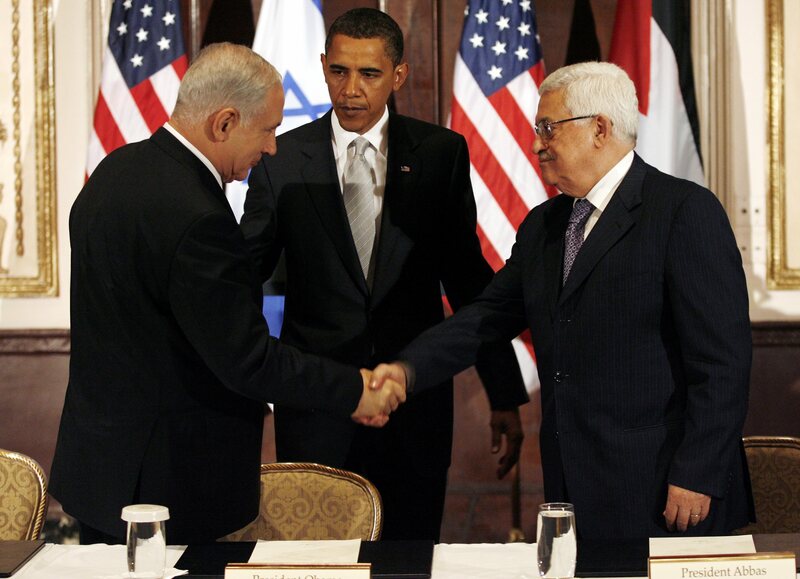 To Palestinians, a viable and secure state can only come about through negotiations. However, even with these various important ingredients in place, there remains a missing one that is vital to the success of direct talks: trust. Without trust between the parties – or in the United States’ leadership – the current effort will undoubtedly fail. Building this trust, beginning with navigating the parties past the September 26th deadline of Israel’s settlement moratorium, is clearly the United States’ most pressing challenge in the weeks ahead. But the foundation to succeed in doing so is beginning to be put into place. The Administration deserves some credit for laying it. More than 10 people have been killed after Israeli commandos stormed a convoy of ships carrying aid to the Gaza Strip, the Israeli army says. Armed forces boarded the largest vessel overnight, clashing with some of the 500 people on board. It happened about 40 miles (64 km) out to sea, in international waters. Israel says its soldiers were shot at and attacked with weapons; the activists say Israeli troops came on board shooting. The activists were attempting to defy a blockade imposed by Israel after the Islamist movement Hamas took power in Gaza in 2007. There has been widespread condemnation of the violence, with several countries summoning the Israeli ambassadors serving there. UN chief Ban Ki-moon said he was “shocked by reports of killings and injuries” and called for a “full investigation” into what happened. Israeli Prime Minister Benjamin Netanyahu, who is in Canada, has cancelled a scheduled visit to Washington on Tuesday to return to Israel, officials said. Earlier, he expressed his “full backing” for the military involved in the raid, his office said. The White House said the US “deeply regrets the loss of life and injuries sustained” in the storming of the aid ship. A spokesman said US officials were “currently working to understand the circumstances surrounding this tragedy”. 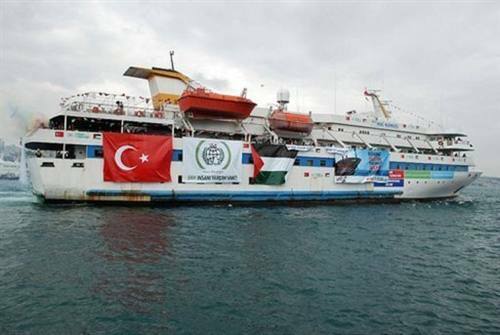 ‘Guns and knives’The six-ship flotilla, carrying 10,000 tonnes of aid, left the coast of Cyprus on Sunday and had been due to arrive in Gaza on Monday. Israel had repeatedly said the boats would not be allowed to reach Gaza. Israel says its soldiers boarded the lead ship in the early hours but were attacked with axes, knives, bars and at least two guns. “Unfortunately this group were dead-set on confrontation,” Israeli government spokesman Mark Regev told the BBC. “Live fire was used against our forces. They initiated the violence, that’s 100% clear,” he said. Organisers of the flotilla said at least 30 people were wounded in the incident. Israel says 10 of its soldiers were injured, one seriously. A leader of Israel’s Islamic Movement, Raed Salah, who was on board, was among those hurt. Audrey Bomse, a spokesperson for the Free Gaza Movement, which is behind the convoy, told the BBC Israel’s actions were disproportionate. The footage showed a number of people, apparently injured, lying on the ground. A woman was seen holding a blood-stained stretcher. Al-Jazeera TV reported from the same ship that Israeli navy forces had opened fire and boarded the vessel, wounding the captain. The Al-Jazeera broadcast ended with a voice shouting in Hebrew, saying: “Everybody shut up!” Israel’s deputy Foreign Minister Danny Ayalon said his country “regrets any loss of life and did everything to avoid this outcome”. He accused the convoy of a “premeditated and outrageous provocation”, describing the flotilla as an “armada of hate”. Palestinian Authority President Mahmoud Abbas condemned Israel’s actions, saying it had committed a massacre, while Hamas said Israel had committed a “great crime and a huge violation of international law”. She said there was “absolutely no evidence of live fire”. Israel is towing the boats to the port of Ashdod and says it will deport the passengers from there. Turkish TV pictures taken on board the Turkish ship leading the flotilla appeared to show Israeli soldiers fighting to control passengers. Israel’s deputy Foreign Minister Danny Ayalon said his country “regrets any loss of life and did everything to avoid this outcome”. He accused the convoy of a “premeditated and outrageous provocation”, describing the flotilla as an “armada of hate”. Palestinian Authority President Mahmoud Abbas condemned Israel’s actions, saying it had committed a massacre, while Hamas said Israel had committed a “great crime and a huge violation of international law”. “We strongly denounce Israel’s inhumane interception,” it said, warning of “irreparable consequences” to the two countries’ relations. Turkey was Israel’s closest Muslim ally but relations have deteriorated over the past few years. In Turkey, thousands of protesters demonstrated against Israel in Istanbul, while several countries have summoned Israeli ambassadors to seek an explanation as to what happened. Greece has withdrawn from joint military exercises with Israel in protest at the raid on the flotilla. Israel had repeatedly said it would stop the boats, calling the campaign a “provocation intended to delegitimise Israel”. Israel says it allows about 15,000 tonnes of humanitarian aid into Gaza every week. But the UN says this is less than a quarter of what is needed.